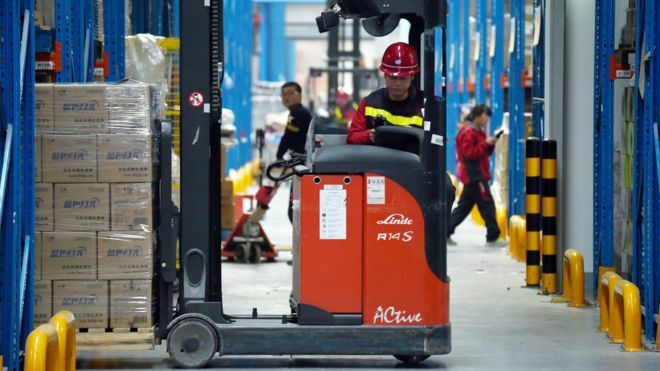 A firm that rents warehouses to online retailer including Amazon and Alibaba is to be sold for $11.7bn (£9bn). 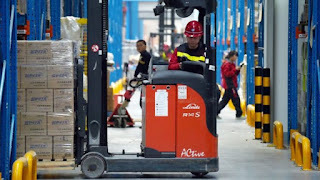 The buyout of Singapore-based Global Logistic Properties (GLP) by a China-led consortium will be one of Asia's biggest ever private equity deals. GLP manages 55 million square metres of logistics facilities in the US, China, Japan and Brazil. Its business has boomed with the rise of e-commerce that has fuelled the demand for modern warehouses. GLP has about 4,000 customers and other clients on its books include Chinese retailer JD.com. The warehouse operator makes about two-thirds of its revenue from China where it has a dominant market position. The winning consortium is made up of several Chinese investors including the Bank of China, private equity firm Hopu and Hillhouse Capital Management, whose investors include Alibaba's Jack Ma. GLP is likely to be delisted from the stock market and run as a private business.